Super Support is Here to Help! 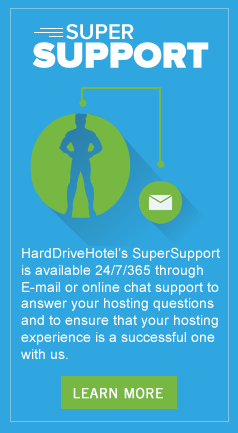 HardDriveHotel's SuperSupport is available 24/7/365 to assist clients in managing their web hosting activities. The SuperSupport team is available to answer your hosting questions including resetting passwords, verifying the settings on your new mobile and electronic devices, assisting with the installation of 3rd party applications as well as re-installs of your operating systems. To reach our SuperSupport team, we recommend submitting a support ticket via the online client portal. 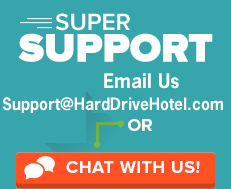 The SuperSupport team can be reached by emailing tickets@harddrivehotel.com directly or using our contact us form in which your email will be filtered into our support ticketing system. During standard business hours, the SuperSupport team is also available through our online chat function and by phone. We do encourage you to use the online ticketing system as these requests are auto-assigned to the appropriate department and/or technician for priority response.